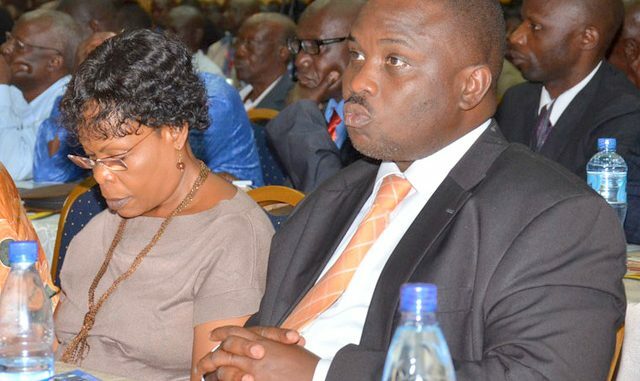 Kampala Lord Mayor Erias Lukwago has filed an application seeking court orders restraining Kampala minister Beti Kamya from issuing directives while purporting to act as political head of Kampala. The application was filed in the High court, Civil Division on Monday. Business hit a snag at City Hall on January 25 when Kamya wrote to Lukwago saying Council meetings he has been convening are null and void. The meetings that Kamya referred to are “resumed meeting(s),” which are a continuation of previous authority meeting(s). “Resumed meetings are not provided for in the Kampala Capital City Authority-KCCA Act. The only category of the meeting provided for is ordinary and special meetings. Any scheduled meeting can only be referred to or called in accordance with the KCCA Act…therefore any meeting called outside the provision of the law is null and void,” Kamya wrote in a January 23rd letter. This prompted KCCA technocrats to walk out of the meeting arguing that they could not participate in null and void Council meetings. Subsequent formal meetings between the political and technical wing have not lured the latter to return to the meeting. He further seeks “an order of prohibition restraining, stopping and preventing the minister for Kampala Capital City Authority (KCCA) from passing off or purporting to act as the political head of Kampala,” the application reads. Kamya last week blocked Lukwago from attending a World Bank conference in Malaysia. Lukwago had been invited by the World Bank to attend the ninth session of the World Urban Forum in Kuala Lumpur, Malaysia, from February 7 to February 13. While The World Bank sent Lukwago a visa and an air ticket, KCCA was supposed to provide up to $1,800 (about Shs 6.5 million) for his accommodation and per diem. Kamya instead gave transferred the invitation to Kawempe Division mayor Emmanuel Sserunjogi to represent Lukwago.